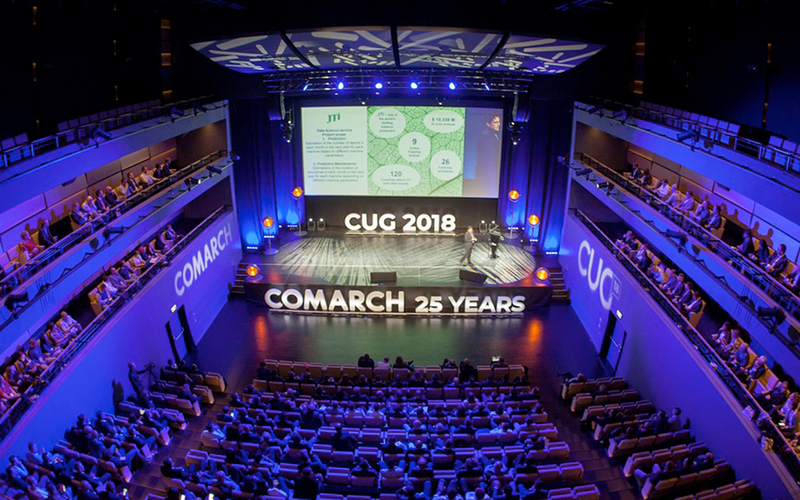 Now in their 14th year, Comarch User Group (CUG) conferences have become much-anticipated and highly-valued fixtures in the calendars of IT managers all over the world. 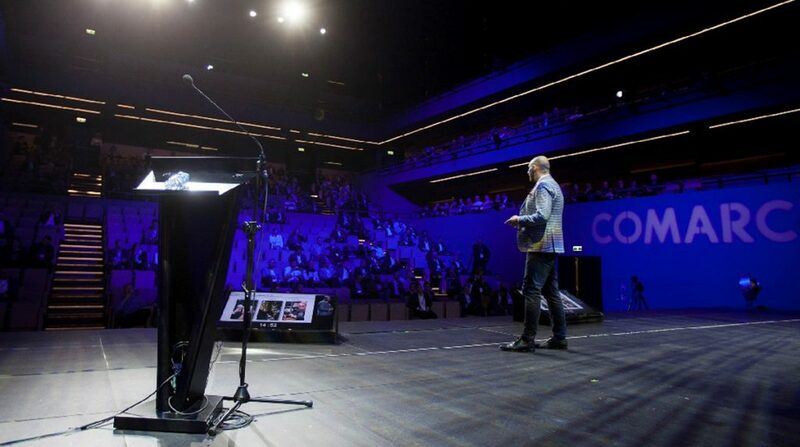 The 2018 edition of the event built still further on the success of previous conferences, drawing representatives of the largest global communications technology organizations to the historic city of Kraków in the south of Poland – birthplace of Comarch and still home to the company after 25 years. In all, more than 250 managers congregated at Kraków’s ICE conference center for the 2018 conference, which was held between September 26 and 27. These delgates were in the city as guests of Comarch, to participate in lectures, workshops, networking sessions and knowledge sharing themed around the 2018 CUG title: “Discover Innovations – Share Experiences”. CUG 2018 focused on marketing campaign management, telecommunications industry business models, and IT systems for managing financial products and services in the B2B and B2C models. Given the rapid pace of technological development in these fields, and the speed at which new solutions are being brought to market and become established, it was perhaps inevitable that much of the conversation centered on artificial intelligence, augmented reality and the most advanced applications of cloud computing systems. 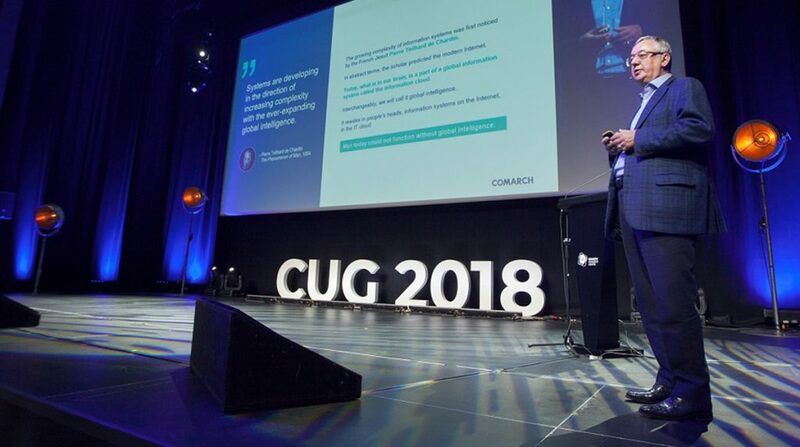 Opening CUG 2018, Professor Janusz Filipiak, Founder and CEO of Comarch, set the tone for the conference by underlining the intense struggle for superiority between Europe, the United States and China. Professor Filipiak was optimistic about the role of European players in this particular game – citing the region’s extremely positive reputation in terms of skilled IT specialists. While delegates at this year’s Comarch User Group were focused primarily on business, that’s not to say there was no time for informal networking or relaxing and winding down. Guests were able to get to know each other before the conference formally opened, by taking part in racing events at Moto Park Kraków. And they were treated to sumptuous dining in traditional Polish aristocratic style at the city’s famous Wierzynek Restaurant. Comarch User Group is not the only event of its kind organized by the Kraków-based IT system provider. Comarch began operating in the United States in 2007, and is now building a platform there to exchange knowledge and experience about the most advanced modern technologies. Furthermore, the company organized the Comarch Foresight Series in 2018, which is devoted to advance IT systems and their application in the commerce, telecommunications, financial and healthcare sectors. In Foresight, presentations and talks focused on loyalty programs, business intelligence and electronic data interchange, bringing to the audience real-life case studies demonstrating practical successes of Comarch’s cooperation with existing clients. Marketing specialist in the Telecoms division. Digital media enthusiast who coordinates several online projects such as the #ReinventingTelecoms campaign. Much involved in the process of preparing this blog from scratch, and constantly striving to develop the platform.